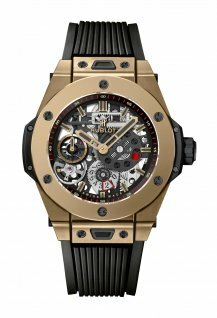 On 9 April 2019 at Harrods, in London, Hublot paid tribute to its United Kingdom partners by unveiling three dedicated windows and an exhibition of sculptures. 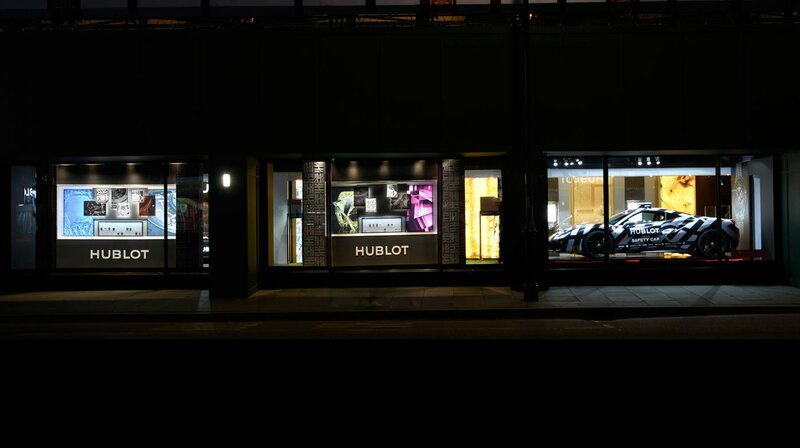 The exhibition space which has been split into four main components highlights Hublot’s most successful partnerships in the United Kingdom. 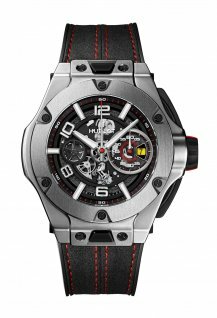 Hublot presents the new Ferrari Safety car and six Baselworld Ferrari models launched in celebration of the partnership. 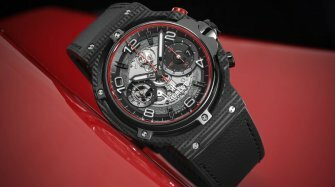 Three new Unico Ferrari pieces celebrating the 90th Anniversary of Scuderia Ferrari demonstrate the brand’s unparalleled attention to detail for their collaborative editions. 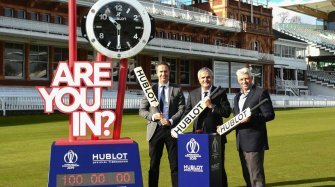 In the first of its kind within Harrods, Hublot celebrates its ongoing partnership with the ICC Cricket World Cup 2019 with a wicket inspired installation counting down the days until the cup begins. 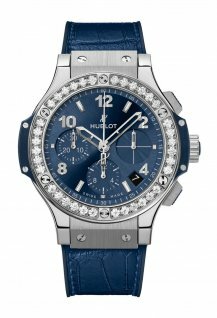 Presented alongside the installation is the newly launched Classic Fusion Chronograph ICC Cricket World Cup 2019 edition. Celebrating the partnership with renowned tattoo artist Maxime Plescia-Buchi, a dedicated lounge has been created set amongst the intricate geometric designs synonymous with Maxime’s artistic style. Presented alongside are the two new Big Bang Sang Bleu novelties. 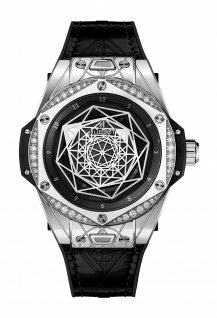 The final space within the exhibition focused on Hublot’s motto; The Art of Fusion. Demonstrating an array of materials and styles, the Art of Fusion installation showcases the many facets of the brand and the level of intricacy that foes into each of the pieces. 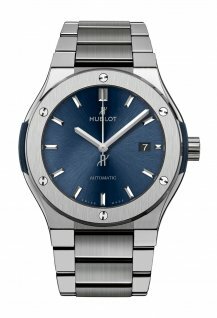 In a parallel exhibition, Hublot have taken over the Fine Watch Room Atrium within the Harrods Fine Watch department. An enormous Richard Orlinski Wild Kong sculpture appears crafted in the same Green pantone as the Classic Fusion Aerofusion Orlinski Green edition. 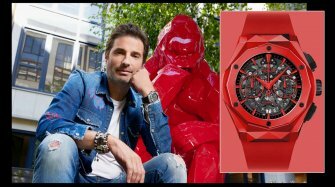 Atop the staircase are set two additional Orlinski sculptures, a vivid Red wodl and bright blue Hippo, bringing the essence of the Wild into the Watch department. For the duration of the installation, Harrods will have exclusivity of the Classic Fusion Aerofusion Orlinski Green edition which is limited worldwide to just 100 pieces. 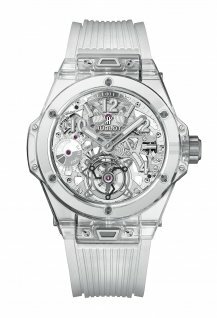 The Hublot Brompton Road Exhibition Windows and Pop-up store will run from 9th of April to mid-may and 7th of June for the Orlinski sculptures.